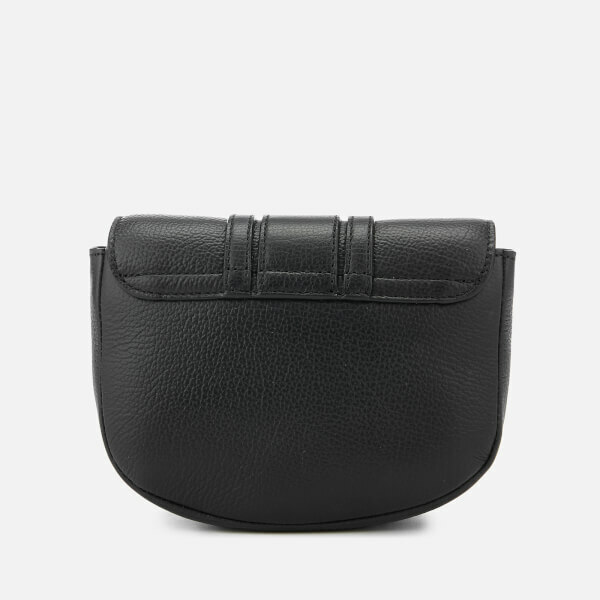 Mini cross body bag from See By Chloé. 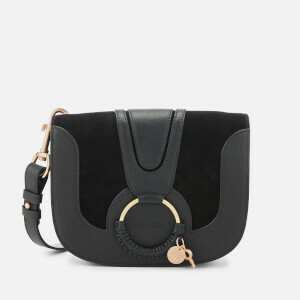 Crafted in premium textured leather, the black ‘Hana’ saddle bag features an adjustable shoulder strap and a magnetic flap fastening. 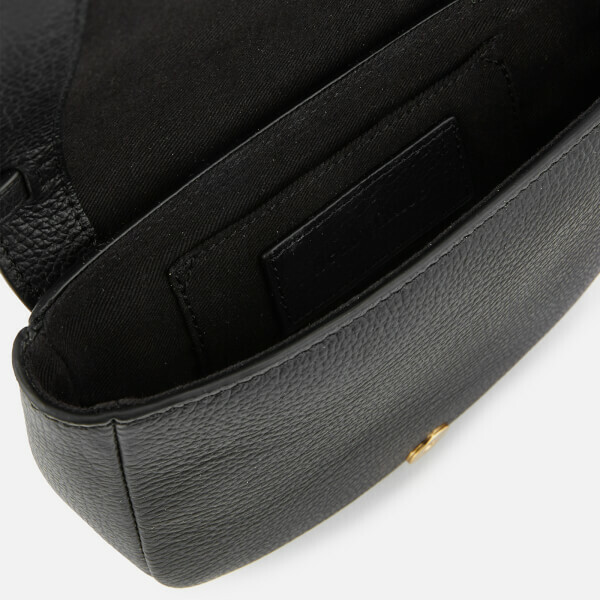 Inside the canvas-lined interior, two compartments and a card slot offer space for valuables. 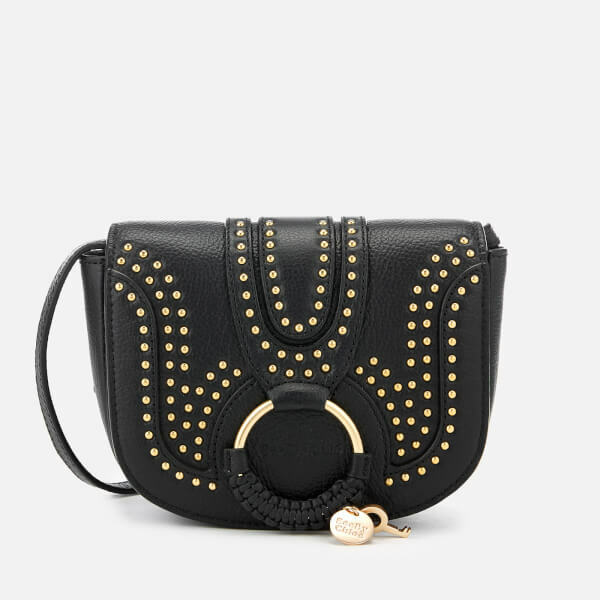 Gold-tone studs and a signature metal ring add the finishing touches. Dimensions: H: 12cm x W: 18cm x D: 5cm. Strap Drop: 55cm.